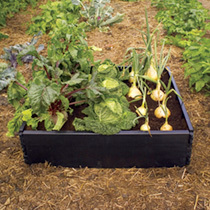 Raised bed gardens are an ideal way to grow vegetables and flowers because adding a layer of healthy topsoil encourages your plants to grow in better condition. 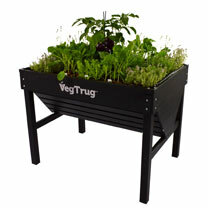 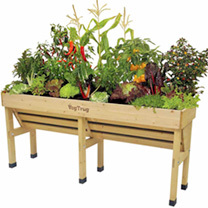 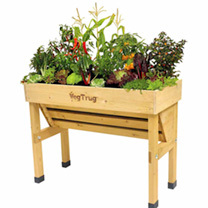 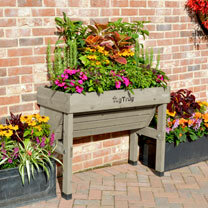 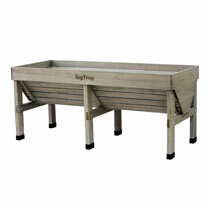 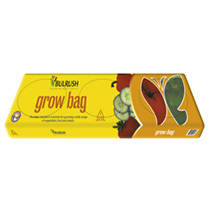 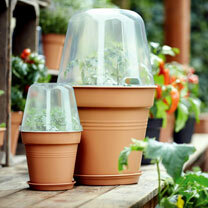 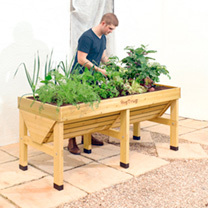 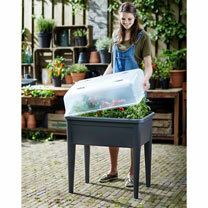 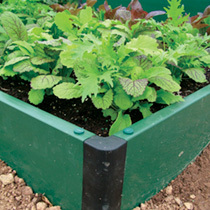 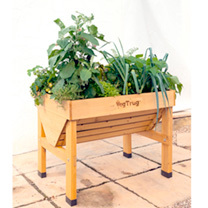 Choose from high-rise VegTrugs, space savers, support frames, and even an instant vegetable patch for Autumnal sowing. 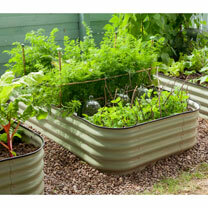 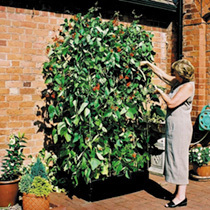 Raised beds are nothing new and have been used for many years for growing fruit and vegetables. 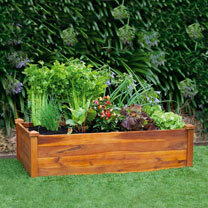 It is less common to see flowering plants being grown in raised beds but there is no good reason for this. 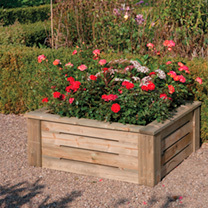 A raised bed makes a wonderful cutting garden and is also a good way of growing plants requiring a different soil type to the rest of the garden, for example heathers, azaleas and rhododendrons can be grown in a raised bed holding ericaceous compost. 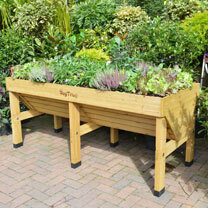 There are many benefits to raised beds including their accessibility for people in wheelchairs or other mobility problems. 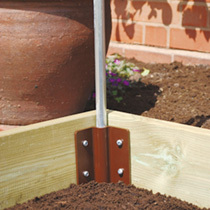 Improved drainage is another benefit although the possible downside to this is that the soil will dry out more quickly during dry spells and so regular watering will be needed.